and the adjoining arcades in the middle of the Perth CBD, are where the serious shopper will find everything from the latest fashions, fine jewellery, accessories, homewares and souvenirs. There you’ll find the top Australian fashion houses and the two major department stores, Myer and David Jones. With the addition of Wesley Quarter and One40William, this area is arguably Perth’s top shopping spot. is inner city arcade shopping at its best. Underneath the blue-faced replica Rouen clock, the attractive Elizabethan style arcade is easily accessible, from Hay Street Mall or St Georges Terrace. Escape there to find fashion, footwear, accessories, art, confectionary, cafes, gifts and souvenirs. 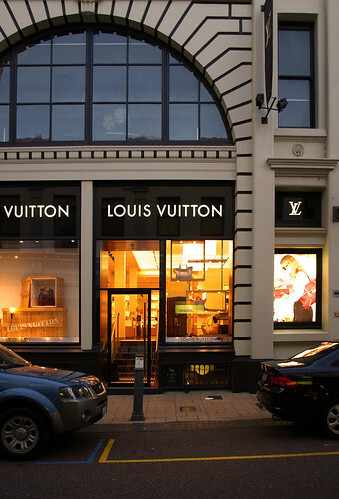 in West End, discover high-end designer goods. As well as the latest Australian and International fashion, King Street boasts trendy galleries, which feature Aboriginal artworks as well as a host of charming cafes. The credit card will get a work out in King Street! located on Wellington Street, offers factory seconds and discounted fashion, homewares, sporting gear, shoes and accessories. Savvy shoppers will be sure to find a bargain in Harbour Town. in the heart of Claremont, features designers such as French Connection, Alannah Hill, Carla Zampatti, Metalicus, Marcs and Oroton, all under one roof. Offering an extensive range of fashion, homewares, and lifestyle products and services, Claremont Quarter will have you shopping until you’re ready to drop into one of the many cafes or restaurants. boasting high-end designer apparel, accessories, jewellery, homewares and more. Subiaco’s vintage streets lend an old-world charm whilst in its trendy stores, is the very latest in fashion and lifestyle. Stay late and experience Subiaco’s nightlife, which includes Thursday late-night trading. located in the Perth CBD offers more shopping opportunities in the Perth CBD where you'll find outlets for many of the popular brands. Acess is via Hay Street Mall or St Georges Terrace. If accessing Enex100 from St Georges Terrace, check out the funky Greenhouse. If visiting on a Friday night or a Sunday from 11am to 1pm, check out the line up of live music. find vintage fashion, stationary, jewellery, homewares and gifts. For the latest looks with a twist, visit Department or Billie and Rose, both located on Beaufort Street. Pop into Mariposa in Astor Arcade for the best spa products for yourself or someone special. specialty stores, the major department stores and the best markets in Perth. The Fremantle Markets on South Terrace offer clothing, jewellery, music, books, art, fresh produce and more. Discover delicious food, funky fashion and live entertainment in a vibrant, carnival atmosphere every weekend. located just 9kms from the CBD, is Perth’s second largest, all-weather shopping centre, Centro Galleria. Boasting 3 levels of specialty stores, cafes and cinemas, Centro Galleria caters to shoppers who prefer to find everything under the one roof. Xanthe Coward is a writer and blogger who writes about travel at the Flight Centre blog.